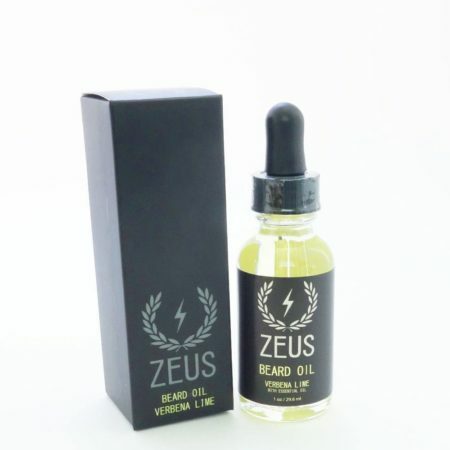 1z/30ml bottle of Verbena and Lime Beard Oil with added Vitamin e.
Reduces beard itch whilst moisturising skin and hair. Zeus Beard Oil’s fragrant yet masculine Verbena Lime scent keeps your beard smelling clean. 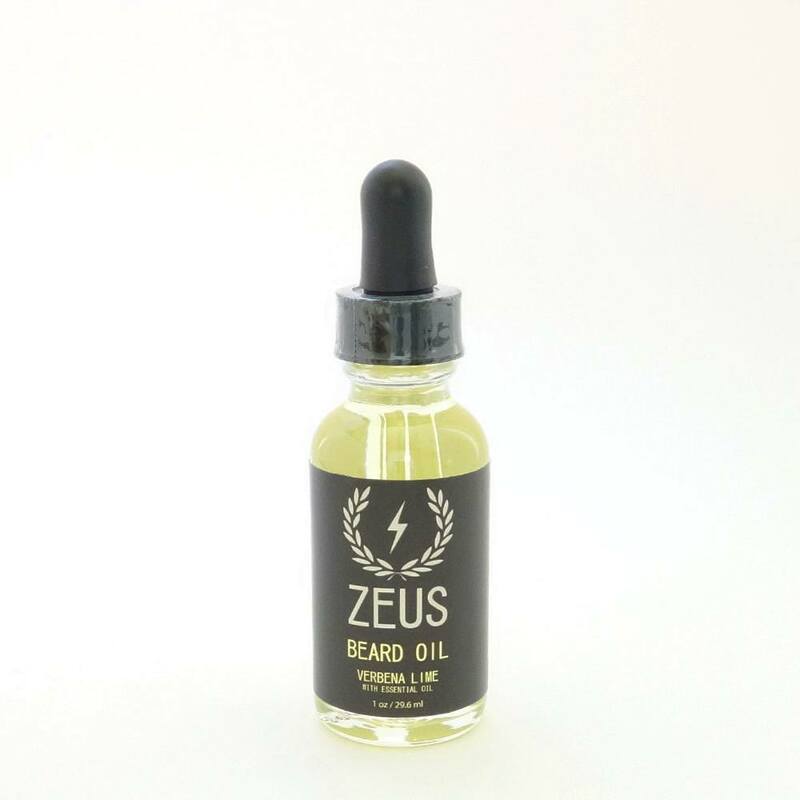 The beard oil features an exclusive antioxidant blend of Grape seed oil, Safflower oil, Argan oil, and Vitamin E. Zeus will never leave your beard feeling oily or greasy. Safflower Oil: Helps the skin retain water and moisture. Safflower oil is a hydrator and ideal for dry, sensitive skin. Sourced from the USA. Argan Oil: Calms frizzy ends while adding moisture and a little shine to dry hair. Sourced from Morocco. Vitamin E: Promotes strong and healthy hair growth. Grape Seed Oil: Moisturizes and conditions dry hair. It locks in moisture and prevents frizz, split ends, and brittle hair. Sourced from Chile. Directions: Apply desired amount onto fingertips, working into skin and facial hair. Pull through with fingers or brush out for a soft, manageable, and fragrant beard. Ingredients: Carthamus Tinctorius (Safflower) Seed Oil, Argania Spinsosa (Argan Oil), Tocopheryl ( Vitamin E ) Acetate, Fragrance, Vitis Vinifera ( Grape ) Seed Oil.